In this article, our Clapham nutritionist takes a look at some preventative measures we can implement to improve our immunity! Our immune system is a complex, multi-layered defence system that is reliant upon many different factors. It’s like a sophisticated, multi-billion-pound military operation, defending the terrain of our body, so we need to make sure it’s got the weaponry to keep us protected. We need to take care of our skin, to ensure we have a strong and sturdy physical barrier, ready to defend us from invading pathogens. We need our innate and learned immune systems to be well-functioning so that our many different white blood cells are actively circulating, waiting to engulf pathogens. You may be surprised to hear that we also need a diverse and strong gut microbiome as 80% of or immune system is actually located in our small intestine, in Gut Associated Lymphatic Tissue (GALT). This ‘good bacteria’ will not only help to protect us from opportunistic pathogens but it also communicates with other cells of the immune system. These are the main ways that our immune system protects the body and through using specific nutrients, from certain foods, we can help our immune system perform at its best when we need it most. So, let’s look at how we can nip that springtime cold in the proverbial bud and increase immunity through food. How can mushrooms improve the immune system? There are a few varieties of mushrooms, for example shiitake, reishi and maitake mushrooms, that contain a powerful and unique polysaccharide, beta-glucan. Beta-glucans are known to stimulate and help regulate certain cells of the immune system and can help reduce inflammation. This compound has decades of research behind it, particularly in Japan, and has been shown to have a staggering effect upon immune function. Since polysaccharides are digested in the gut, and a large number of our immune cells are housed there, they can directly activate an immune response. Make sure you’re including these in your cooking, but if you’re unsure then you can always double check how to get the most out of your shrooms with our Clapham nutritional therapist. How to use: Stimulate your Asian culinary imagination and pop some shiitake mushrooms into a stir fry with Pak Choy and ginger. Or, keep it simple and toss them into your favourite weekend omelette. How can pumpkin seeds boost immunity? When it comes to immune enhancing nutrients, zinc is one of the best. It not only supports the immune system and helps to reduce the duration of a cold, but it is also a critical mineral for reproductive health! The richest food sources of zinc are meat or fish, but don’t fret vegans because another amazing source is the pumpkin seed. Pumpkin seeds are dense in their micronutrient profile and, unless you have a seed allergy, well tolerated. The recommended daily intake (RDI) of zinc is 15mg a day and 3 x tbsps. provide 23% of the RDI. A handful of these, along with some beef, spinach, mushrooms and quinoa and you’ll be hitting your zinc target for the day. How does our Clapham nutritionist use them? Dump 1/2 cup of pumpkin seeds and sunflower seeds into a bowl. Mix in a couple of tablespoons of soy sauce (or gluten free option, tamari) and a pinch or two of chilli powder. Arrange them on a baking tray and bake for 3-5 minutes until they’re slightly roasted. Not too hot, or too long, otherwise the seeds might pop. Mention vitamin C and you think of citrus fruit – lemon, lime, mandarins, grapefruits and fighting off a cold! 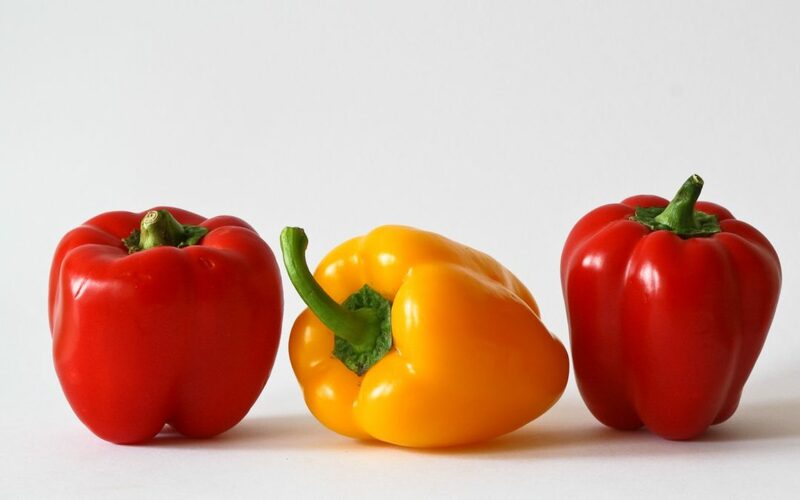 Another powerful food, with just as pretty of a pigment, which is also loaded with vitamin C is the red pepper. One cup of raw red pepper will provide you with a whopping 157% of your RDI, which is an extremely economic value compared to some overpriced supplements. Vitamin C, although it doesn’t prevent a cold, works by stimulating the immune system by enhancing cell proliferation in response to an infection which, in turn, will reduce the severity and duration of cold or flu-like symptoms. ‘ As a water-soluble vitamin, it is important to replenish your vitamin C levels daily, especially for people out there functioning at 100 miles per hour, with little opportunity for rest and recovery. Buy a red pepper, wash it, slice it, drizzle it with olive oil and a pinch of salt – eat! Or, dip it in our favourite middle eastern spread, a crucial addition to any Crudités, hummus. When your friends and family start to get struck down by the springtime cold, the inevitable dread sets in. We start pumping our body full of supplements, teas and medicine in an effort to keep functioning at an acceptable pace, yet we often forget to assess our diet and support ourselves through natural whole-foods. Putting preventative nutrition based practices in place can help reduce frequency of illness and the severity and duration symptoms associated with a cold. Just as important, however, is to allow yourself time to rest so that your body can do what it needs to recover! For further advice on how to holistically improve your health and prevent illness and disease, why not book in to see our Clapham based nutritionist today? Book your nutrition consultation today! Hub Health is and integrated health clinic based in the heart of Clapham, located by Clapham Common Underground station on Venn Street. Offering osteopathy, personal training, sports massage and acupuncture, we’ve got your health and fitness needs covered.